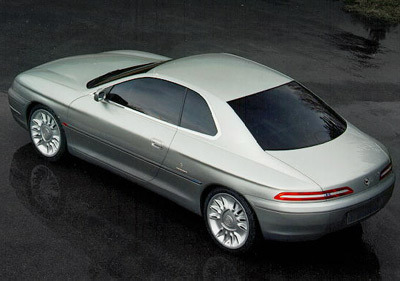 The Lancia Kayak was a concept car introduced at the 1995 Geneva Motor Show. The Kayak was developed by the Italian styling house Bertone, and it had luxurious yet discreet overall proportions. The Lancia Kayak's style was inspired by glamorous Italian coupe's of the 1950s and 60s. 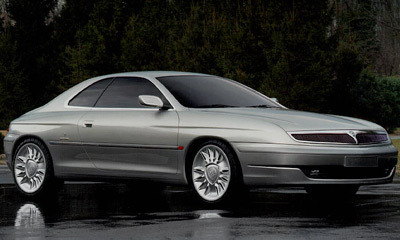 In 1996 Bertone turned the Lancia Kayak into a fully functional prototype based on the Lancia K platform. Despite the long, low powerful coupe shape, the Lancia Kayak was a FWD car. The interior of the Lancia Kayak featured four individual bucket seats in a 2+2 seating layout. 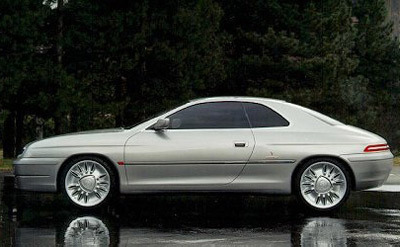 Unfortunately the Lancia Kayak never made it past the concept stage.